Although WebChaver Monitoring and Reporting is the most effective way to prevent intentional unsuitable behavior, it does not guarantee complete safety. Inappropriate sites may be unintentionally accessed, through advertisements or with incorrectly typed web addresses. Complete security can only be achieved with a combination of the monitoring and filtering. 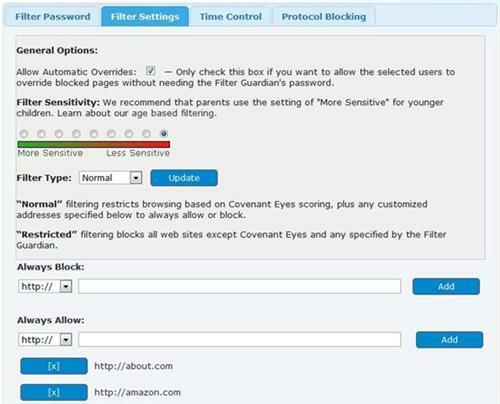 The WebChaver (Covenant Eyes) filter works in tandem with the monitoring software, providing WebChaver users with one easy package to ensure safe web surfing. All this at a low additional cost of $1.99 per month. The WebChaver Filter is available for PC, Mac and iOS devices (iPhone, iPad, and iPod Touch), and now for Android too! The CE filter has many exciting and flexible features that can be controlled directly from your WebChaver account page. For added security, you can choose a unique password to protect the filtering settings. 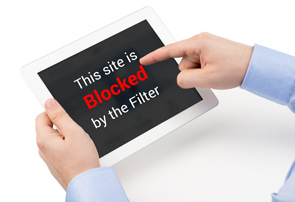 From the settings tab, you can choose your filter sensitivity level, blocking all but permitted sites, or blocking sites above a specific score level. You can also specify certain sites to "Always Block", or "Always Allow", as well as choosing whether the filter can be overridden without a password. 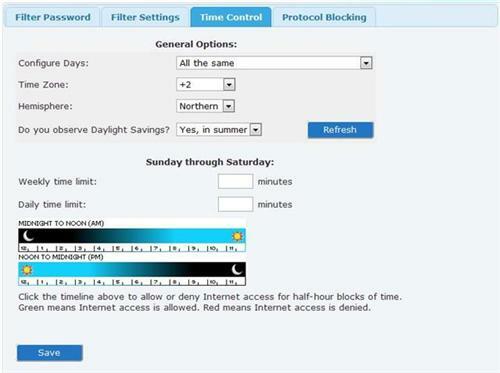 With the "Time Settings" tab, you can specify certain times of day that the internet should not be accessible at all. You can apply these settings to all days of the week universally, or choose different times for different days. Note: Time Controls are not yet available on iOS. Why should I use or not use a filter? How can I help my family and I surf the web in a safer way?